CLICK HERE TO SCHEDULE YOUR FREE CONSULTATION CALL. Whether you wish to lose one stone to look and feel better in your clothes, or you want to totally transform your body, mindset and lifestyle rapidly, The New You Plan is the solution for you! 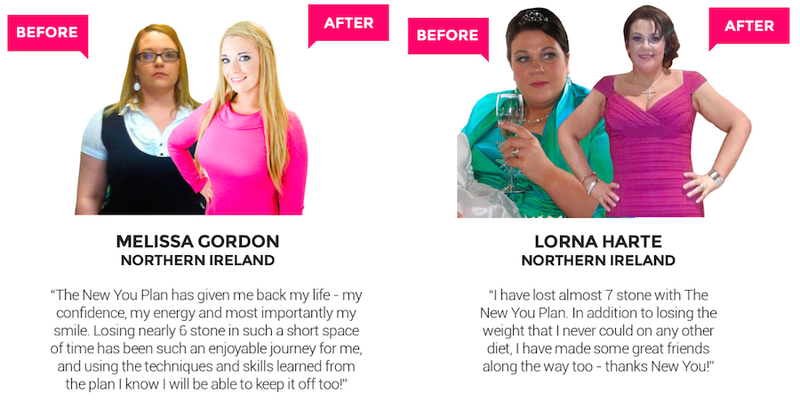 Our diet plan is simple, safe and hassle-free and has helped over 10,000 customers across the UK and Ireland to have fun, lose weight rapidly and maintain their signiﬁcant weight-loss too! Only £39.99 a week. £5.71 a day for 4 meals! That’s just £1.43 a meal! And you get all the free gifts mentioned above. How much money would you save if you didn’t have to buy yourself any food for 2 weeks? This plan basically pays for itself. The journey is even easier with friends! After you have purchased your bundle you can join our completely secret Facebook group “Secret Slimmers” and join in the fun. None of your contacts on Facebook will be able to see anything you post here, and you will be able to chat to the thousands of people where everyone is striving for! ONE COMMON GOAL – to live a slimmer healthier lifestyle! Send us a private message on Facebook requesting to join Secret Slimmers and we’ll add you to the group. 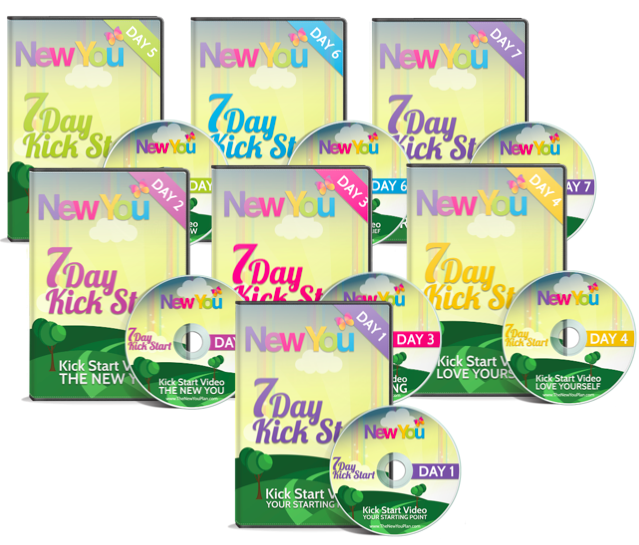 This life-changing programme worth £47 will be yours with your ﬁrst order! This simple one week programme will help you to get through the ﬁrst seven days of Total Food Replacement, walking you through the practical tips of what to expect and the process of ketosis and also helping you to build your conﬁdence to take the leap to totally transform your body and mind with one of our advanced programmes. Register your weight-loss goal and become accountable in our monthly challenges – there are some amazing prizes on offer too! Once you have rapidly completed your body, mindset and lifestyle transformation, The New You Plan will be there to help you to maintain it! We will help you to build in the healthy habits that will be the foundation of making your new, slimmer life enjoyable and easy. • Assisting you every step of the way through your Refeed to ensure your continued success. Results may vary. This is not a guarantee. Please help me to loose weight, I have try many diets in the past, but after a while I put it on again, also, I’ve got health problem and I can’t do much to help myself as the illness does not allow me to do so. that’s why I need help.